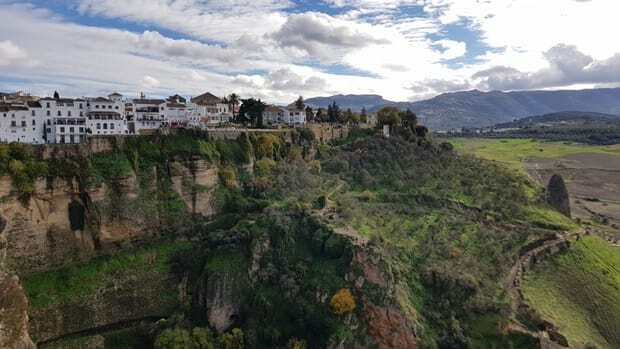 Things to do in Ronda Spain: Day Trip to the Pearl of Spanish Andalusia! Ronda is undoubtedly one of the most beautiful cities in Andalusia and also one of the most visited cities in Spain. 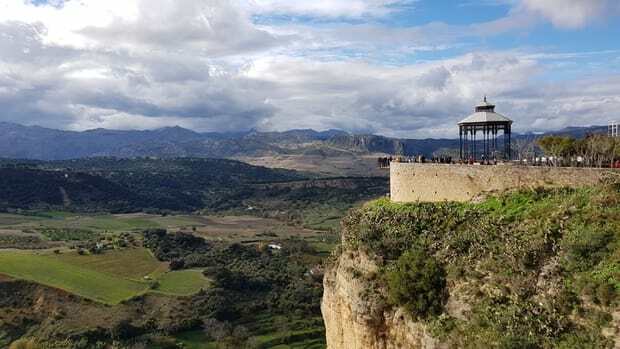 No surprise as there are many unique things to see and do in Ronda. 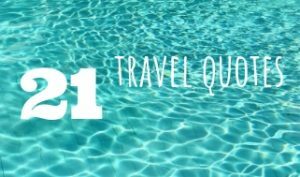 It’s located in the mountains, in two parks: the Parque Natural de la Sierra de las Nieves and the Parque Natural Sierra de Grazalema, just under an hour’s drive from Malaga. 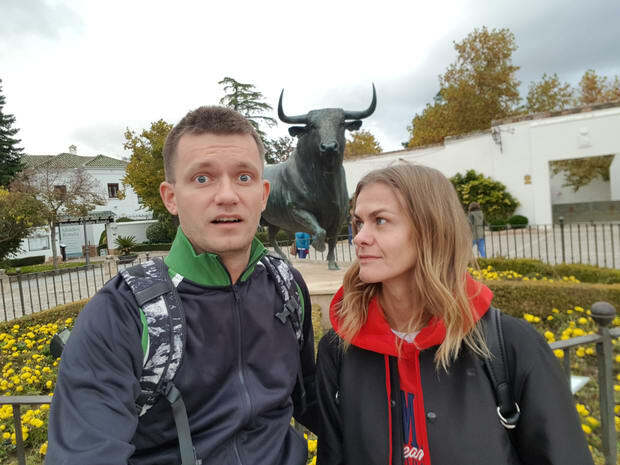 How to get to Ronda? 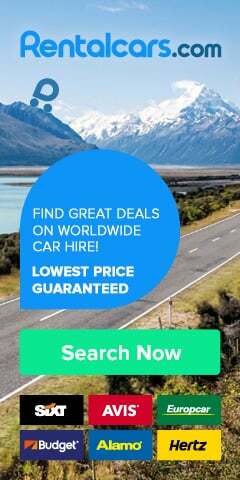 Make sure you rent a car from Malaga! That’s the best and most efficient way to get to this stunning city. 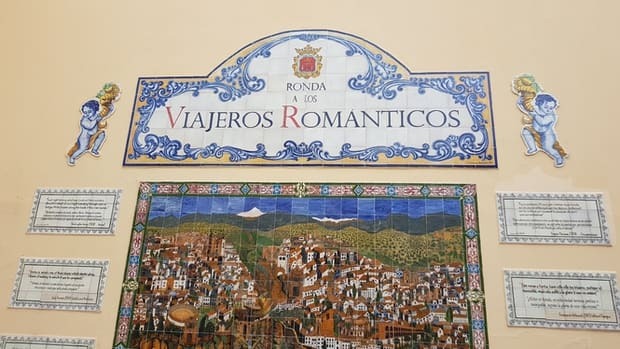 Surrounded by lush valleys, a deep ravine, offering views that will make you dizzy – anyone who was/is lucky to visit Ronda knows what I mean 🙂 – There are so many things to do in Ronda Spain! 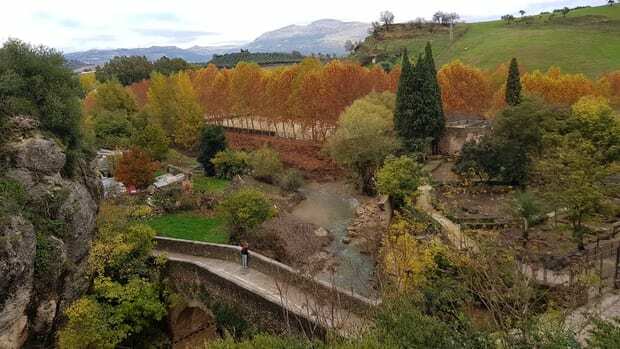 What are the best things to do in Ronda, Spain? Ronda is also well known as the birthplace of bullfighting. 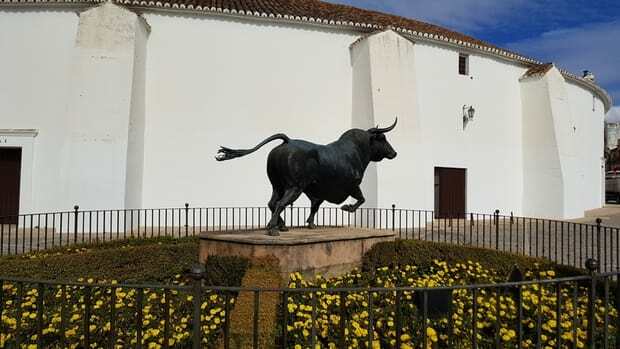 Yes, the bullfights are held at Plaza de Toros in Ronda. 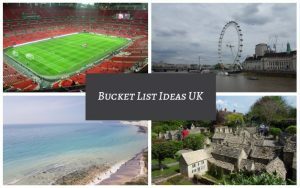 We are not fans of that spectacle but Plaza de Toros is an amazing building with a great history so we decided to include it in this article. Plaza de Toros in Ronda, built in 1785, is probably the most famous bullring in Andalusia (and one of the oldest and most picturesque in Spain). The arena was the first in which traditional wooden load-bearing beams were replaced by stones – the whole complex (with a diameter of over 60 meters) consists of two floors surrounded by beautiful arcades and can accommodate up to 5,000 spectators at the same time. One of the most popular viewing points in the city! 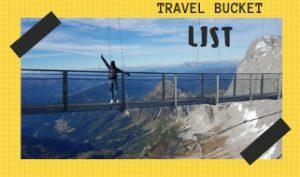 For a good reason – the views of the gorge, Puente Nuevo and the surrounding villages are just spectacular. Mirador received its name in honour of the architect José Martín de Aldehuela. The same one who built the bullring arena, Puente Nuevo, and also completed the construction of the Cathedral in Malaga. Whichever language you speak, we are 100% sure you will use a similar phrase once looking down 150m! 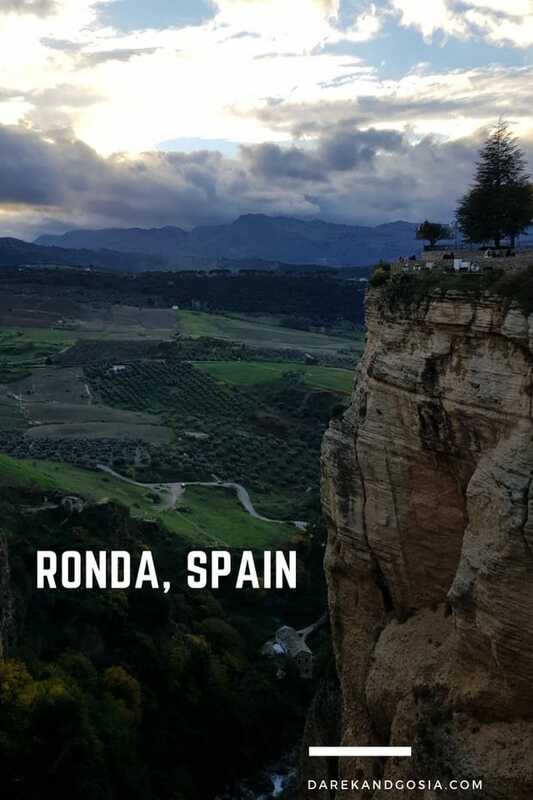 Ronda is a city torn in two because it is separated by a very deep abyss. 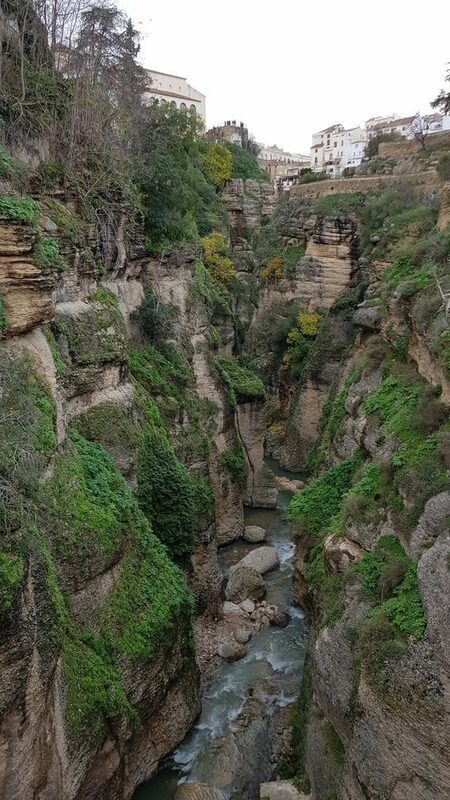 This abyss is the El Tajo de Ronda gorge. 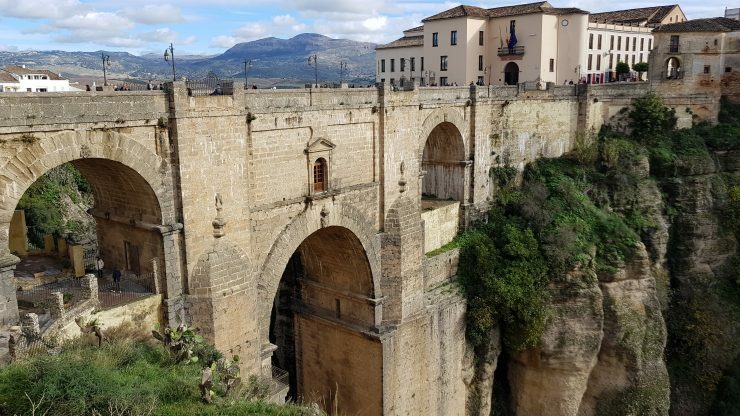 The 18th-century Puente Nuevo bridge is one of the most important monuments in Ronda – one of the best things to see in Spain! And, no surprise, it is the most photographed object in the city too. From here you have unforgettable views of the Tajo de Ronda and the steep plateau where the city is located. Did you know that the upper part of the bridge was once used as a prison? Best view of the Puente Nuevo? Definitely not from the New Bridge! 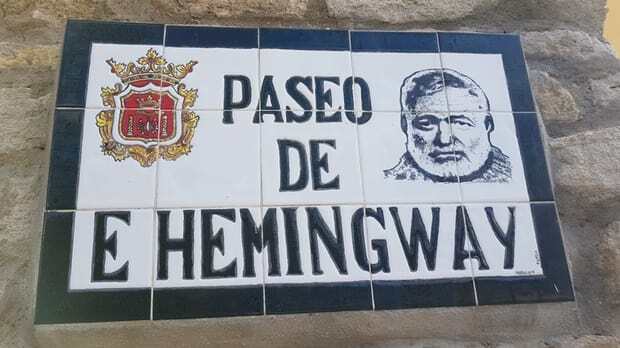 😉 It’s best to watch it from Camino de los Molinos, the road that runs along the bottom of the ravine. 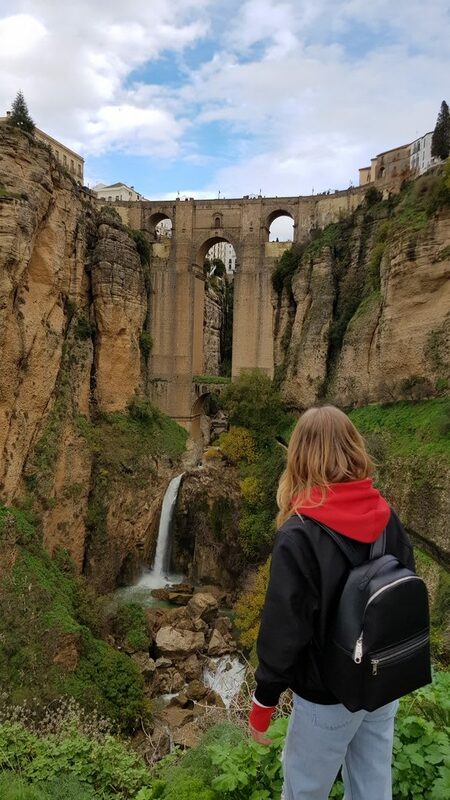 No doubt, you just have to take a photo of the bridge while visiting Ronda! 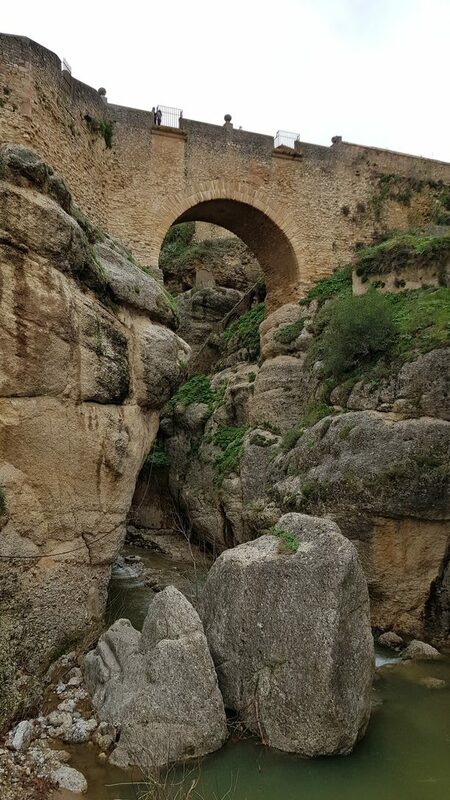 Puente Viejo is the middle bridge (only 31 m high) that connects two parts of Ronda. The date of its creation is not completely known, and moreover, many experts are still arguing whether Puente Viejo was built by the Romans or by Arabs. 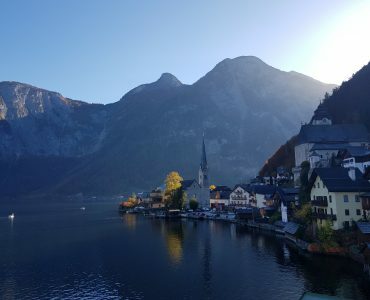 To be honest, we didn’t care about that too much 😉 The views from the bridge are still amazing! Puente Árabe is the last of the 3 bridges over El Tajo gorge. It can be accessed by car or walking. 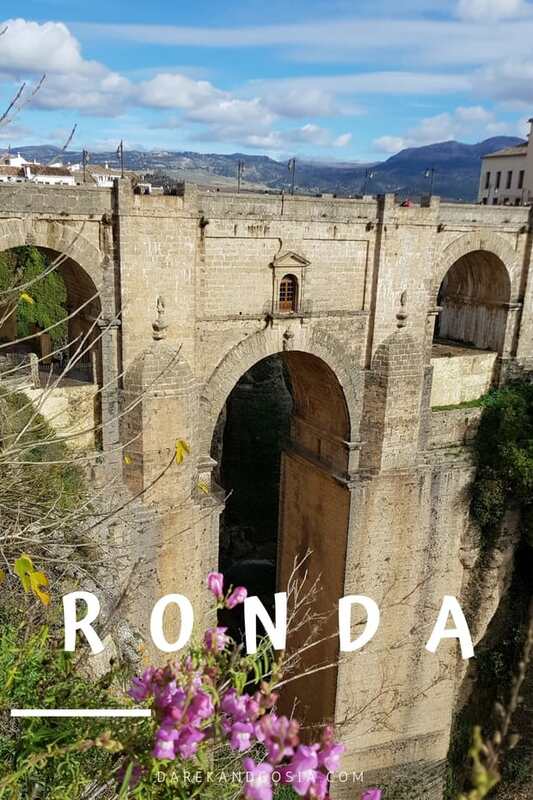 Make sure you add it to your list of things to see in Ronda – it’s really worth a visit. It is a great viewing point of the Puente Viejo bridge. The Plaza del Socorro is a central square in the new part of Ronda. 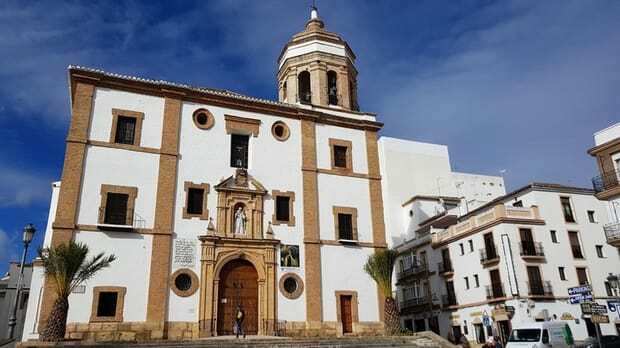 It is surrounded by many restaurants, bars and the church of the Virgen del Socorro. 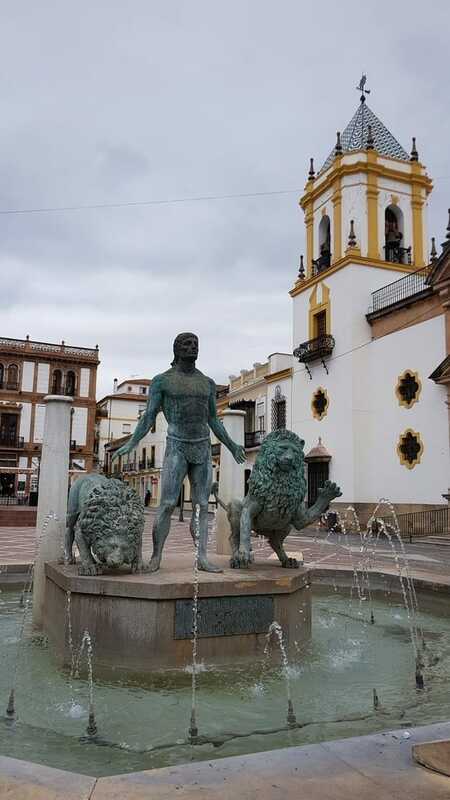 Its main point of interest is a beautiful fountain with a statue of Hercules. If you are driving to Ronda by car, the APK2 Plaza del Socorro parking will be the best choice. It is located very close to all the main tourist attractions of the city. 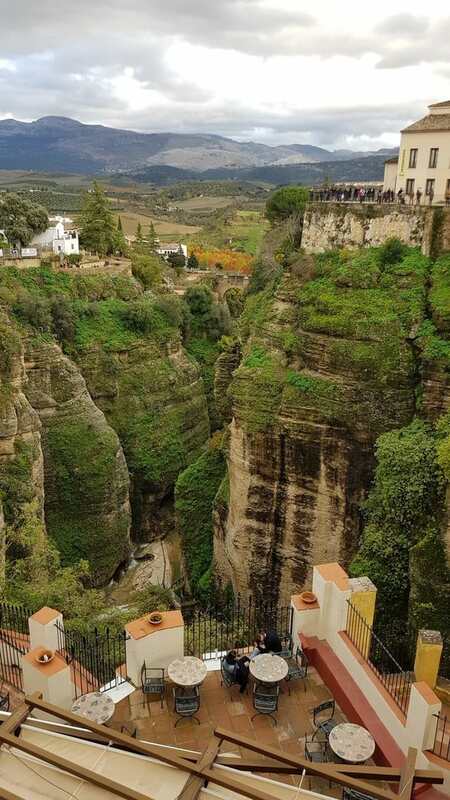 The perfectly preserved Old Town of Ronda is a place loved by couples and all those who like to be in the clouds. The true beauty of Ronda has been appreciated for many centuries by artists and writers (like Ernest Hemingway or Victor Hugo). 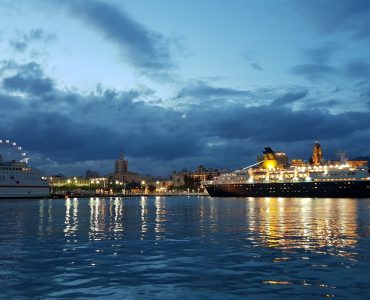 The history of the city remembers the times of Celts, Greeks, Carthaginians and Arabs. Each of these civilizations has played a significant role in the history of Ronda – the effects are visible across the whole city. 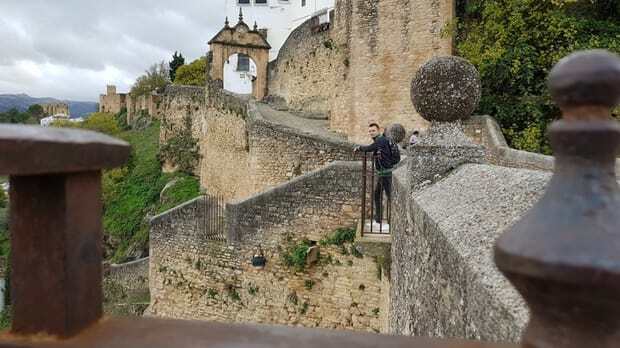 You will definitely love walking around the old town of Ronda!